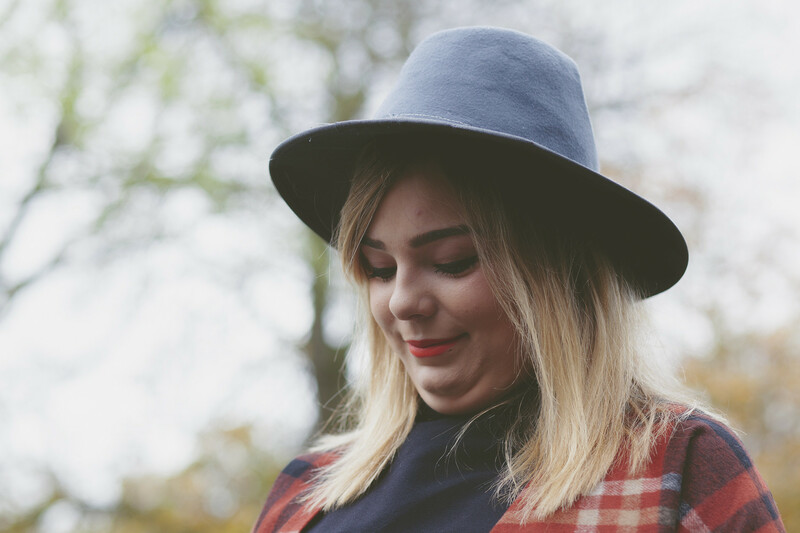 I absolutely love these shots Jon took of me a few weeks ago (clearly pre fringe!) We'd gone on a little jaunt in my new car (Have I even mentioned I have a new car on here?) and spotted a nice little spot to have a mini shoot. This was around the Clapham Old Town area which has loads of lovely big houses which I'd absolutely love to live in at some point... a girl can dream! 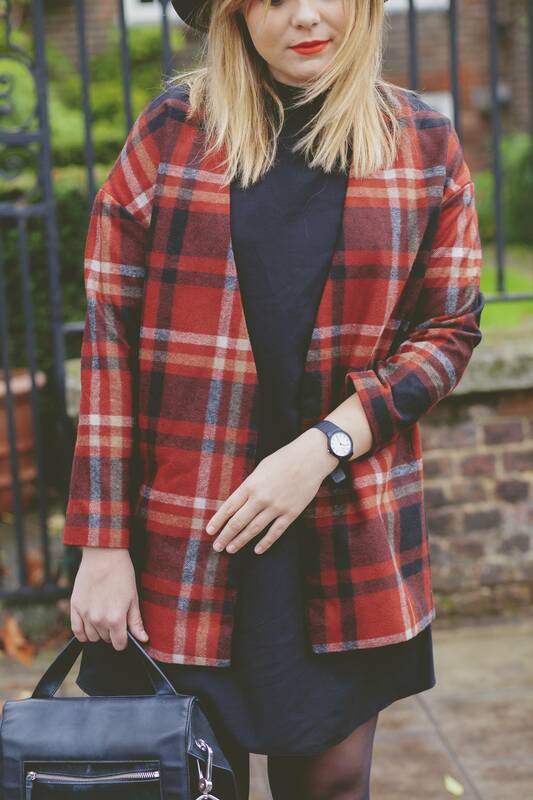 I absolutely adore this check coat, although I seem to have more coats in my winter wardrobe than I have fingers I just cant seem to get enough of them! The justification for this one was there was a 30% off coats thing on at ASOS! Ooops! 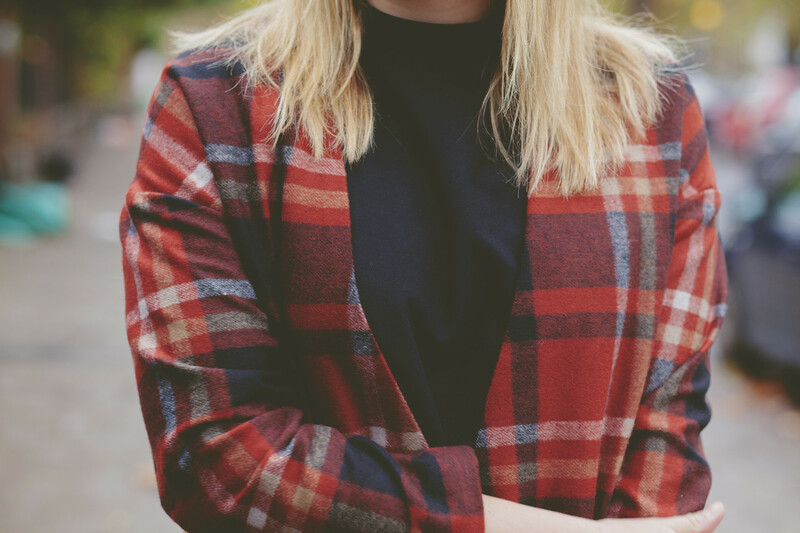 The contrast of a bright red plaid coat with already established my winter uniform (leather skirts, oversized fluffy jumpers and boots) is the simplest way of getting a cool girl look with minimal fuss. Keep the rest of the items neutral for a cosy and chic look. PS. For a cheeky bonus snap check this one out of me. Sometimes I like to make faces inbetween snaps just to see if Jon notices. I think this might be his favourite ever. love this outfit, your bag is gorgeous! This is such a cute outfit ! I love it ! I am in love with your coat! It's the perfect pattern for winter! Love this outfit and your lips look beautiful! 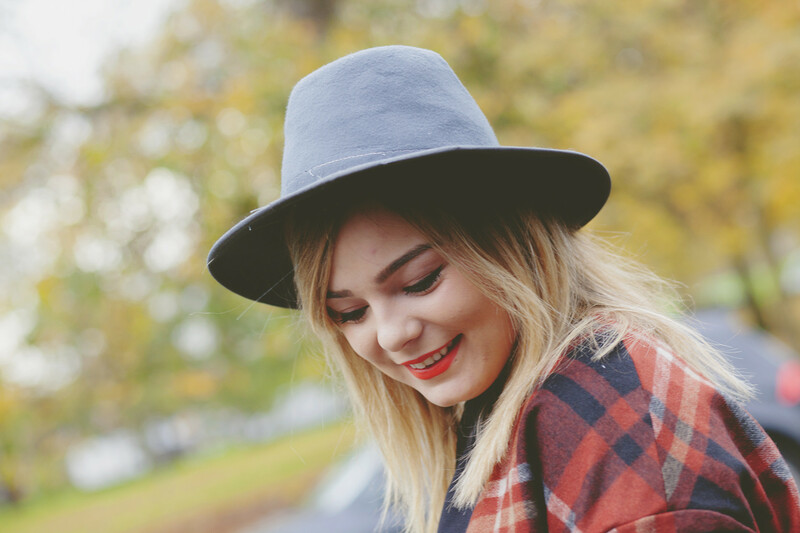 Love hat and coat, great look! Your coat is gorgeous, love the colour! Oh the coat is fabulous, perfectly justified in my opinion! I love this look! 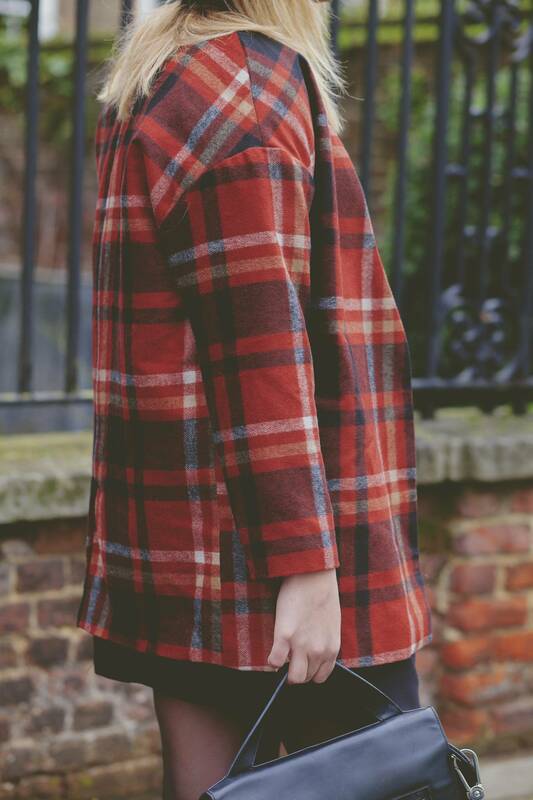 The tartan coat is too cute. These pictures are gorgeous, I wish I had a friend who could help me do outfit posts. 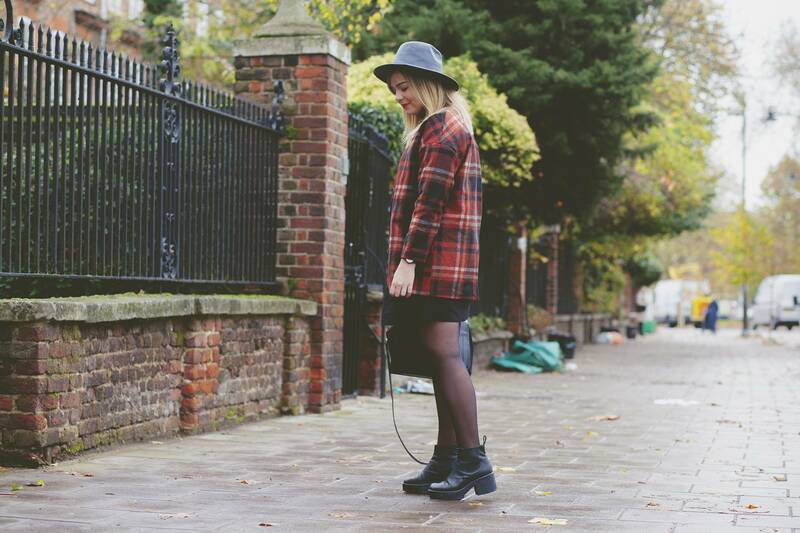 I love the coat, I cannot resist ASOS sales either. 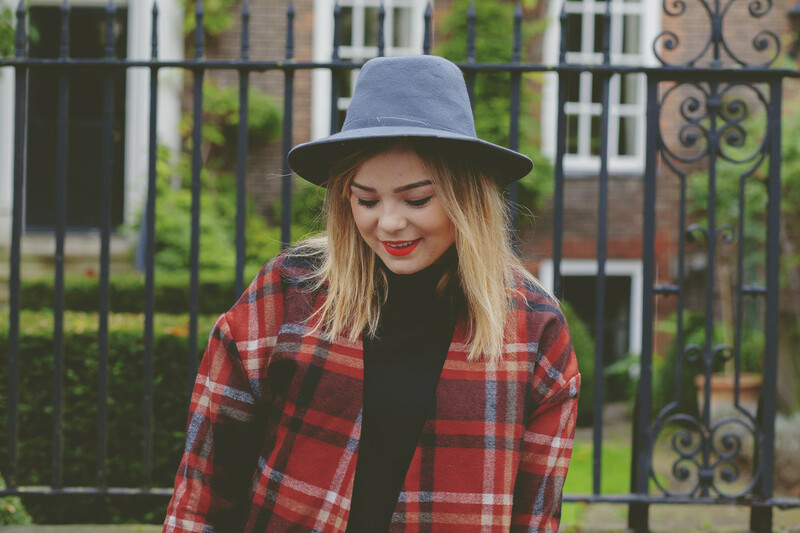 Who doesn’t love a bit of tartan?! Love the plaid coat! Definitely brightens up a dull winter day! 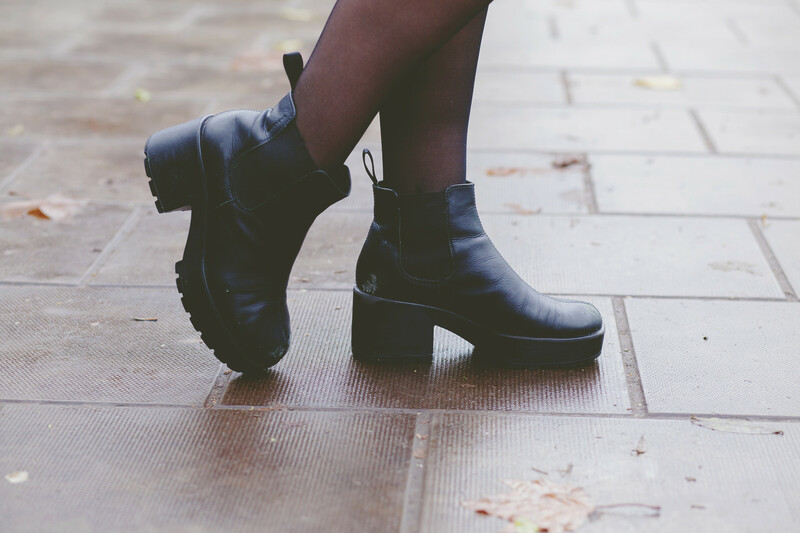 Always love these boots! 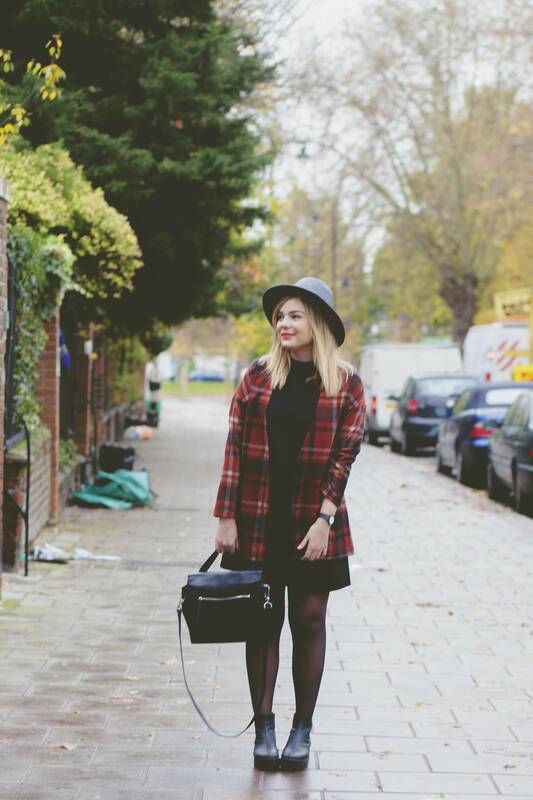 The tartan print looks really good on you! Nice outfit! Love the flannel. You look lovely, I love this outfit. Gorgeous coat! I'm so surprised it's only £55, definitely on the must-have list. great outfit! and absolutely loved the out take photo of you! I always have so many of my making faces as we set up to shoot! 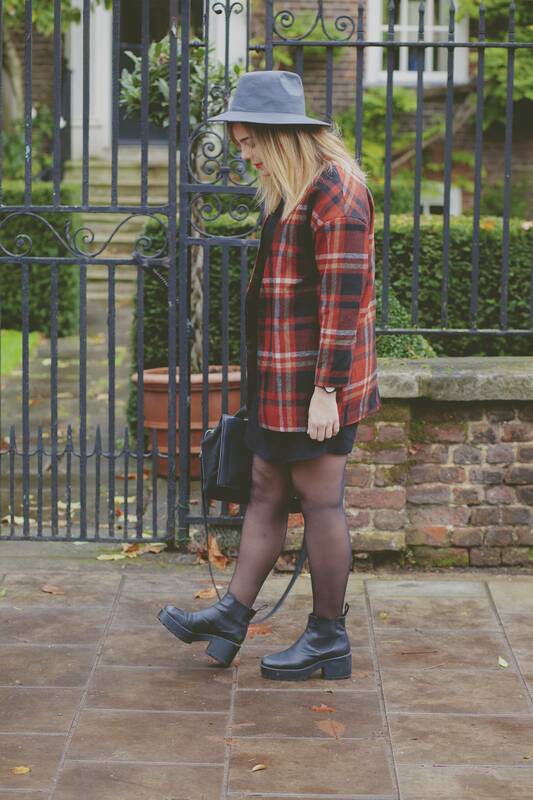 Love the tartan and the bag!